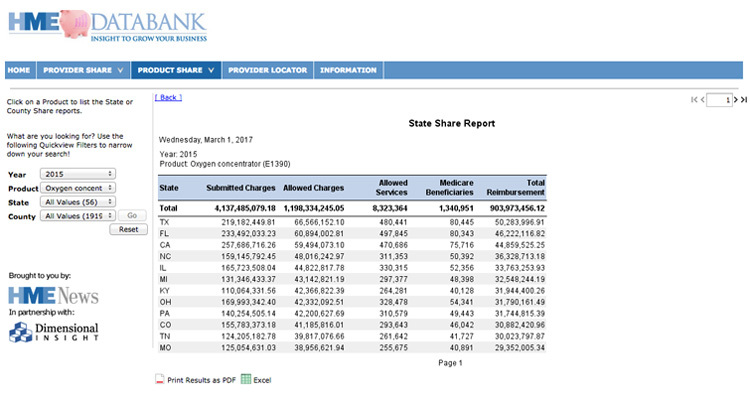 PRODUCT SHARE tracks annual Medicare fee-for-service reimbursement for 426 top products, all of the products included in Medicare's national competitive bidding (NCB) program. Product Share lets you track reimbursement for these HME products at the national, state and county level. This information is updated annually on October 1st.